Pictured above is the new Raspberry Pi Zero available for just US$5 or £4. This stripped down Raspberry Pi is the lowest power consumption version yet at just 160mA or lower at 5VDC. 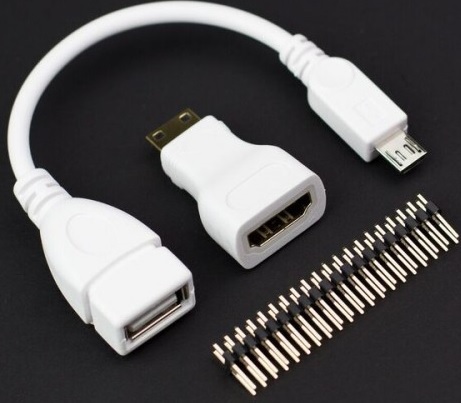 It has one micro USB connection for power input, and one for connection to peripherals such as a USB hub (for connection of a keyboard and mouse etc) or for a WiFi dongle for headless applications. The standard Raspberry Pi HDMI port has been replaced with a mini-HDMI port, there is no ethernet, no composite video (although headers are supplied), and even the 40 pin GPIO header is not supplied. As with the more recent Raspberry Pi models, a micro-SD card port is fitted for you to load your operating system of choice. The Raspberry Pi Zero has a single-core BCM2835 processor overclocked to 1GHz, and 512MB of on board RAM. This offers three times the performance of the original Raspberry Pi at less than one-quarter the price. The price of the Raspberry Pi Zero is so low that it competes with even the cheapest Arduino clones, even when the cost of a micro-SD card and GPIO headers is included. It is still more power hungry than an Arduino, but offers much more functionality than any Arduino board. Raspberry Pi Zero is half the size of the already diminutive Raspberry Pi A+ coming in at a tiny 65mm x 30mm x 5mm and weighing just 9g. Pictured above is a bundle on offer comprising the GPIO headers, a micro-USB adapter and mini-HDMI adapter offered for £4 at the Raspberry Pi Swag Store. 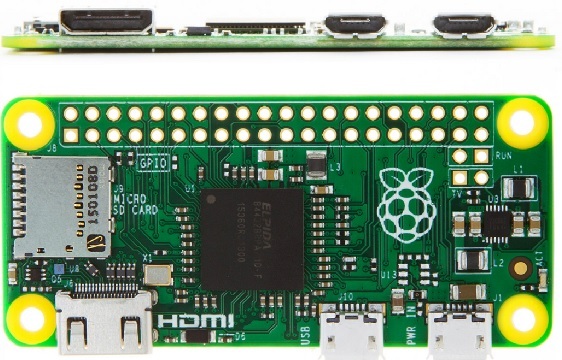 With this bundle or equivalent, you can connect your Raspberry Pi Zero to a television with a standard HDMI cable and plug in a standard USB hub.